At FIT we recently pub­lished an iphone app for a large design event based in Lon­don, so can share some insights into cre­at­ing an iphone or android app for a speak­ing event of this kind. Below are a set of 10 insights, please enjoy at your convenience. 1. CRE­ATE A DYNAMIC LIST OF SPEAK­ERS AND BIO­GRAPHY THAT IS DRIVEN BY SOME KIND OF CMS. As is often the case one or two speak­ers will drop out or change the topic of their talk. When sub­mit­ting iphone apps to the app store it can take time to get your app approved, which is not what you want when the event is fast approach­ing. You may some­times be able to get an exped­ite request, how­ever Apple can be quite grumpy about this. 2. MAKE YOUR CON­TENT AVAIL­ABLE OFFLINE. You can’t always guar­an­tee that there will be inter­net con­nec­tion at the event. It would be a dis­aster if an attendee opened the app only to find a screen of blank nothingness. 3. HAVE CON­TENT THAT UNLOCKS AFTER THE EVENT. Event apps can often be throw away, so you can increase their sell by date by includ­ing links that will open after the event is fin­ished. This will make your app longer liv­ing and more con­tent rich. 4. MAKE SURE YOU HEAV­ILY ADVERT­ISE YOUR APP OTH­ER­WISE NO ONE WILL DOWN­LOAD IT. Advert­ising the app is just as import­ant as cre­at­ing it in the first place. 5. ALLOW YOUR ATTENDEES TO CONNECT. At events one of the primary reason for attend­ance is to net­work, how­ever this is often too dif­fi­cult when there are so many attendees! Per­haps have attendees details within the app, so they can eas­ily con­tact one another before, dur­ing and after the event. 6. ALLOW USERS TO SHARE CON­TENT DIR­ECTLY FROM THE APP. Have a link to Twit­ter that will open the hashtag for the event in the nat­ive twit­ter app. 7. THINK ABOUT INCLUD­ING A SURVEY. Attendees would often like to have the chance to leave their opin­ions and feed­back. Per­haps think about includ­ing a short sur­vey for them to fill out. 8. INCLUDE A FLOOR PLAN. If you are hold­ing a large event think about includ­ing a map of the event, this will encour­age users to use the app more. 9. ADD DIR­EC­TIONS TO YOUR EVENT. Many people have trouble loc­at­ing events, so think about mak­ing their life easier by hav­ing dir­ec­tions to the event. 10. CHECK-IN WITH THE APP. 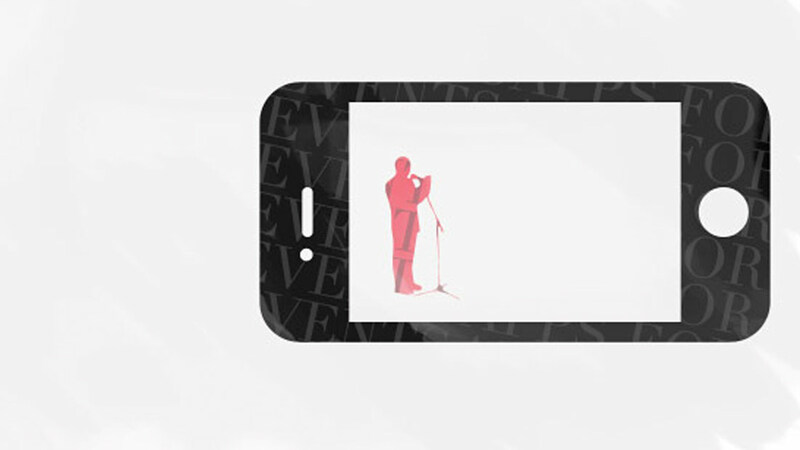 Think about hav­ing a fea­ture that allows attendees to RSPV for the event using the app. Once at the event attendees could also check-in/register using the app. You will always have to have other means of access­ing tick­ets, how­ever if there is an option to check-in within app it will encour­age greater usage of your applic­a­tion. FIT Digital is a cre­at­ive digital mar­ket­ing agency based in Lon­don. If you would like to dis­cuss a pro­ject, please get in touch.